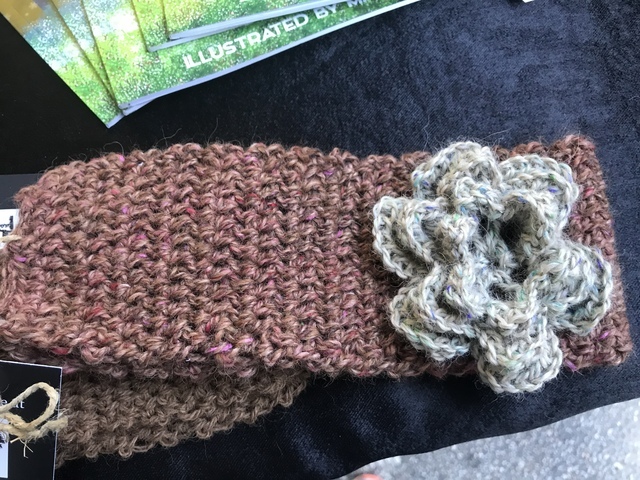 Crocheted from 100% alpaca yarn, this handmade item makes for a wonderful gift or accessory for yourself! The flowers come in a two colors-dark brown and light brown. We raise our huacaya alpacas at our South Carolina farm. We shear the herd each spring, clean the fleece, and then ship it to mills in the Southeast to be spun into yarn. The skeins of yarn are used by our family to make handmade items.